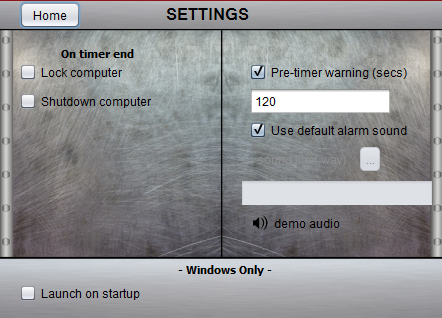 Nathan Software has created a versatile desktop timer and stopwatch utility. 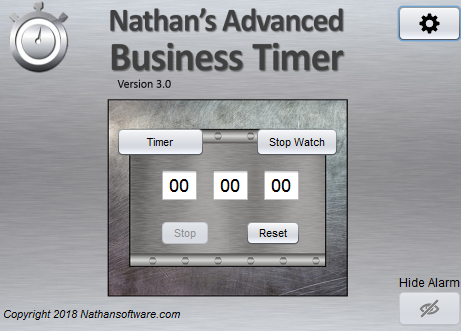 The Advanced Business Timer is copyrighted 2018 by Nathansoftware.com under the CC BY 4.0 license. The simple and easy to use application acts as both a timer and stopwatch. The Advanced Business Timer utilizes a JVM (Java) which must be installed in order to run this application. See the official Java website.